It started with a boot and became a state of mind. Made for those taking speed to the next level. The result of a 20-year commitment to one principle: There is no such thing as 'fast enough'. Meet the Nike Mercurial Superfly LVL Up. Looking more at the design, the Mercurial LVL Up plays on the arcade-ish language of the recent Nike Game Over Pack, and it's actually the first white Mercurial since the summer of 2018. Just in time for spring and brighter days with this beautiful lighter days. Damn we've missed you, white Mercurial! And come on guys, this boot is absolute fire - we can't wait to see it on the pitch! And you know what? 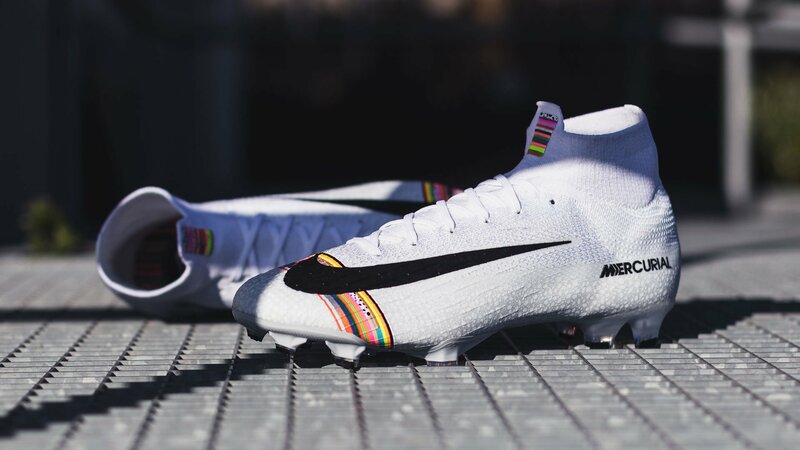 Nike has already teamed up with Cristiano Ronaldo, Kylian Mbappé and Sam Kerr who are all going to wear the boot on pitch. Tech wise, the Mercurial Superfly LVL Up football boot is identical to all other Superfly 6 editions. The boot has a one-piece Flyknit upper and come with the characteristic DF collar, which has been a mainstay of the Superfly silo since 2014. With the Nike Mercurial Superfly LVL Up, fit is still the foundation of fast. No matter how innovative a pair of football boots may be, if the fit isn’t right, if the foot slides even 1mm inside the boot, speed can be compromised. This is no problem in the Mercurial 360s because of its game-changing 360 construction made possible through a new advancement in Nike Flyknit technology. This new innovation simply hugs the foot and eliminates the gaps between the foot and the soleplate. Like on the other Mercurial boots, traction is provided by precisely placed studs in the forefoot and heel. Less like a hoof, more like a claw, Nike's inspiration comes from agile cheetahs and focuses on traction at speed. Get the Nike Mercurial Superfly LVL Up right here, right now.